After 48 years on the air, winning some people's hearts, angering some, and amassing a staggering net worth, Tom Leykis has decided that he will be retiring soon. 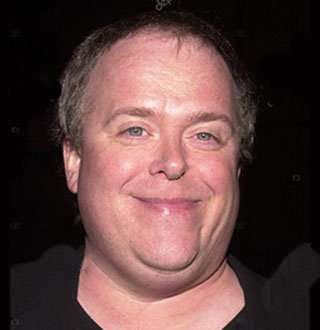 Tom Leykis is a talk-radio personality mostly popular as the host of The Tom Leykis Show, an extremely popular hot-talk program, continuously from 1994 to date. In the eponymous show, the shock-jock talks about a variety of topics ranging from politics to relationship advice and many more. The American radio host was born in the Bronx, New York to the Harry Leykis and Laura Leykis in the year 1956. In the family of Irish, Jewish and Ukrainian descent Tom had three other siblings, two sisters, and a brother. After graduating from the Newfield High School, Tom went on to Fordham University to study broadcasting but had to drop out because of the financial issues. The young kid with an acute interest in radio-broadcasting, who later went on to become one of the most renowned names in radio, started when he was only fourteen as a fill-in host for WBAB, a rock radio station. After small works here and there throughout the 70s, Tom got a regular slot as a sidekick of the host Mark Simone in The Simone Phone. However, it was his own The Tom Leykis Show that propelled him into fame. Initially starting as a political talk-program, The Tom Leykis Show later started to take on a wide range of topics, often inspired by a certain news article or Tom’s own personal life experiences. One particular section of the show Leykis 101, which instructs men on rules of getting laid with minimum resources (time, money and effort) was the most popular, bringing him numerous fans and haters alike. The radio host, who relishes in fineries of life, also runs a podcast show The Tasting Room with Tom Leykis where he talks mostly about wine and beer. The giant of FM broadcasting, as of now, has the net worth of $ 22 million, earned from both his salary with broadcasting stations as well as royalties. Retiring Soon: Why Not Celebrate Silver Jubilee First? On February this year, the 62-year-old radio superstar declared that 2018 was going to be his last year on the air and that 2019 will not see The Tom Leykis Show in its 25th year. Since the announcement, fans have been speculating about the reasons behind it. Some of the theories being that he had earned enough for him to enjoy his retirement comfortably; that his health wasn’t in the best of conditions lately; that because of YouTube and all, people were listening to his shows for free, without giving him his due and he felt cheated. Recently Tom came out on twitter himself, showing his net worth, hinting that he was retiring because he had earned enough. On the light that Tom has indeed earned everything, not just money, he could have earned from his career, silver jubilee might not be that important, and it might have been an opportune time to be retiring.